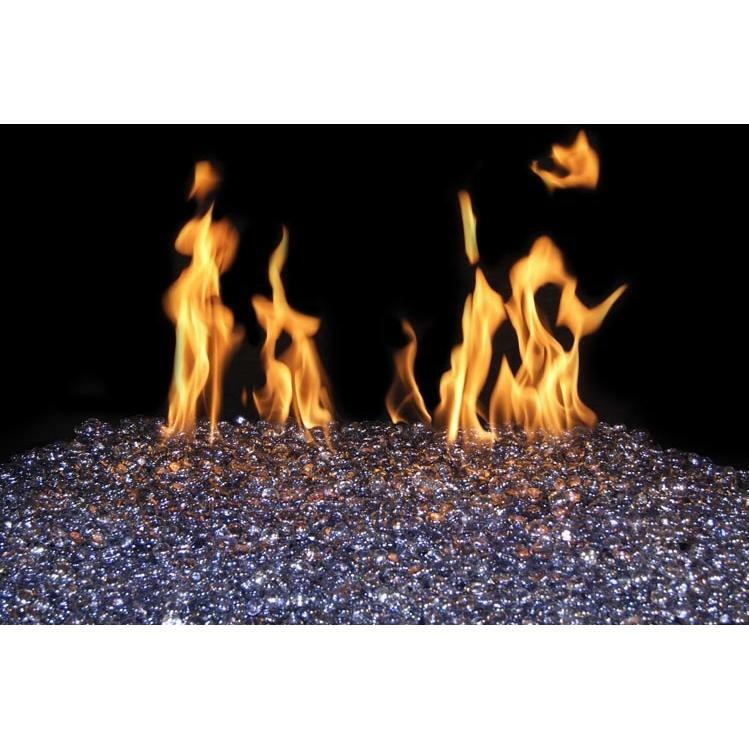 Appearing almost molten under the flames, these specially formulated, tempered, and tumbled gems from R. H. Peterson are safer than regular glass with no sharp edges. Platinum Fire Gems are featured in this set and includes enough to fill the burner pan. Designed to run on Propane, the main burner of the G45 emits generous undulating flames enhanced by a conspicuously effective front ember burner. See thru burner design allows the fire to be enjoyed from either side of the fireplace. The vented G45 burner provides hour after hour of hypnotic glimmering flames. With the press of a button, have this log set blazing in no time. When the set needs to be shut off again, simply push the button again. The non standing pilot is self igniting and extinguishing, holding down fuel usage and providing valuable operation savings.